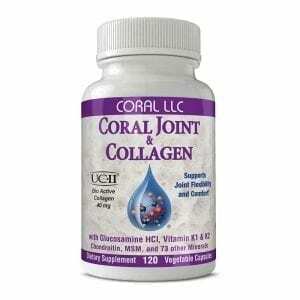 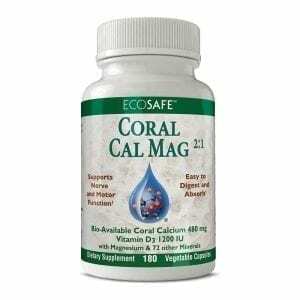 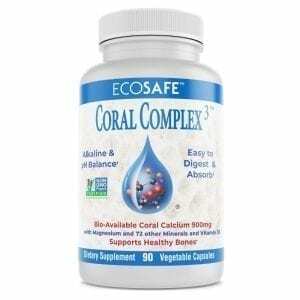 5,000 IU of Vitamin D3 plus Coral Calcium to support healthy bones, a strong immune system and mental/emotional wellness*. 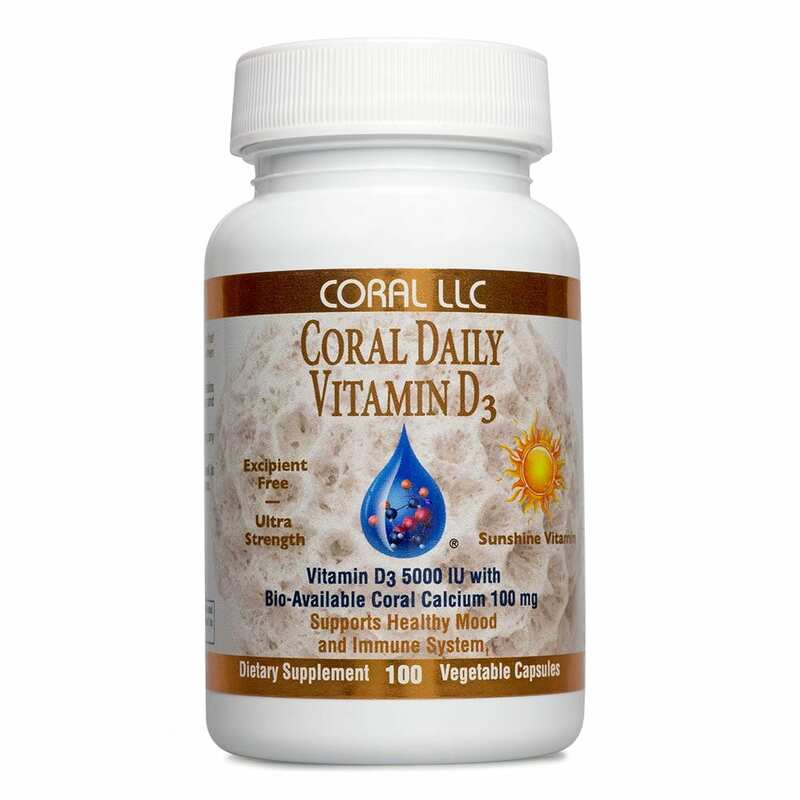 Vitamin D3, the “sunshine vitamin,” is one of the simplest solutions to a wide range of health issues, yet unfortunately can no longer be easily obtained through diet or sun exposure. 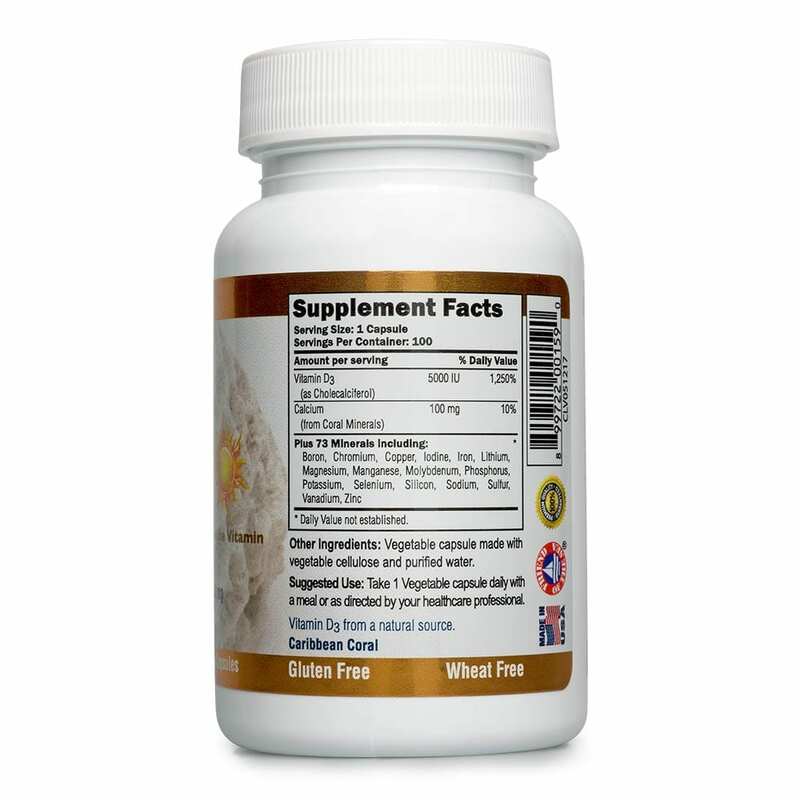 Supplementation is typically necessary to ensure the body receives an adequate supply. 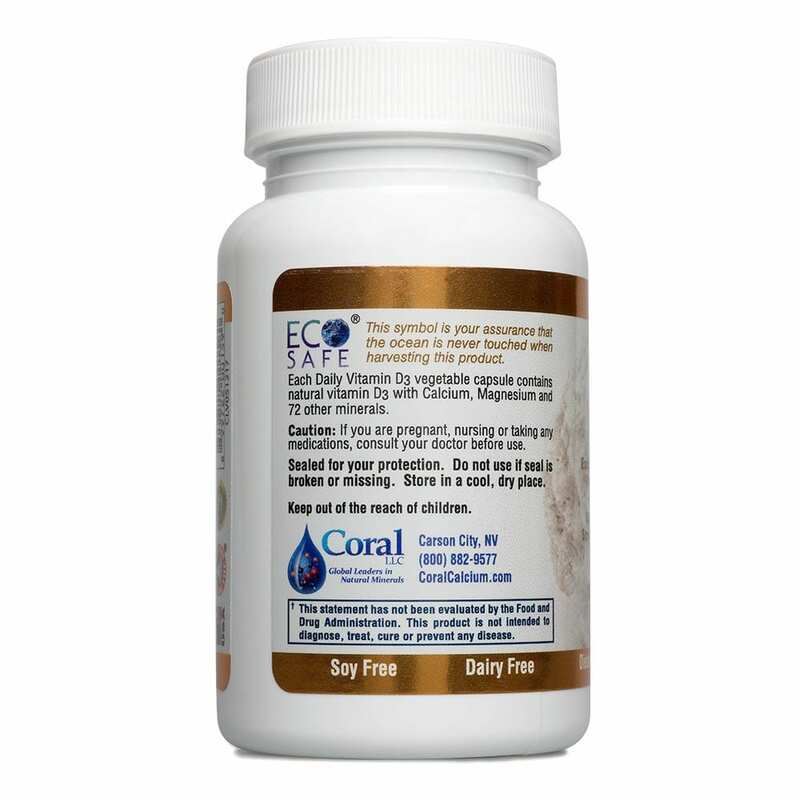 Daily D3’s easy-to-swallow veggie capsules deliver a potent dose of 5,000 IU of Vitamin D3 plus 100 mg of bioavailable coral calcium and 73 other trace minerals derived from above-sea, EcoSafe coral.